Obviously the ball only does what the club tells it, and you control what the club does ideally. How you hold the club and what you do at the grip or handle end decides what happens at the business end! The club head and club face. 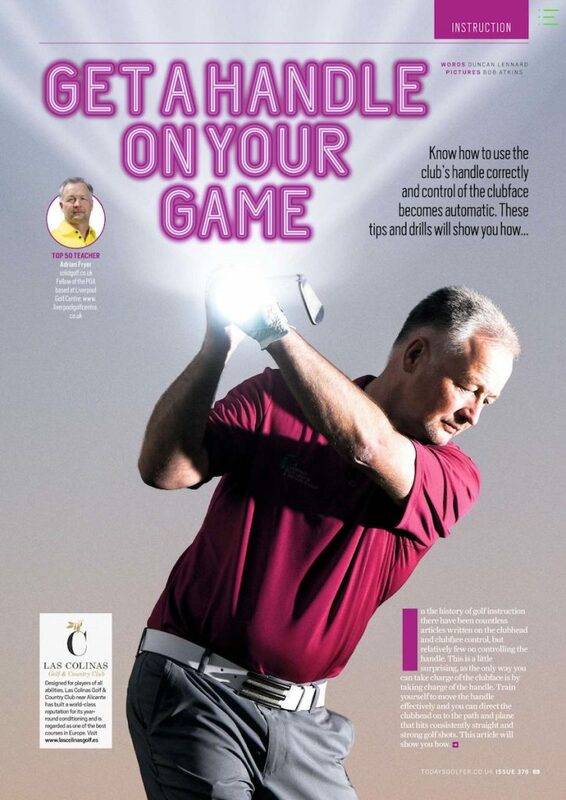 In this feature I compiled for Today’s Golfer I explain how simply understanding how to control the handle will improve the shape and path of your swing and also improve the club face presentation. If you can get the club travelling briefly in the right direction and looking in the right direction you are going to hit lots of fairways and greens. Get a handle on your game – Know hot to use the club’s handle correctly and control of the clubface becomes automatic.